C Magazine — Textfield, Inc.
C Magazine Issue 125 ATTENTION — includes Features by Shannon Anderson on An Te Liu; Mark Clintberg on the still life in the work of Celia Perrin Sidarous and Peter Morin; Kari Cwynar on Experimental Comedy Training Camp; Cameron Hu on GCC and geopolitical style; and Godfre Leung on attention, oblivion and jubilation in the work of Jeremy Shaw. 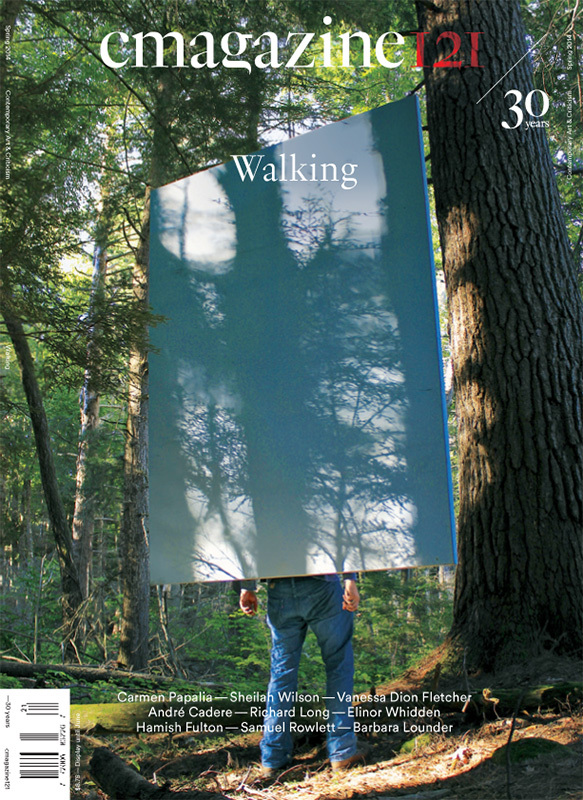 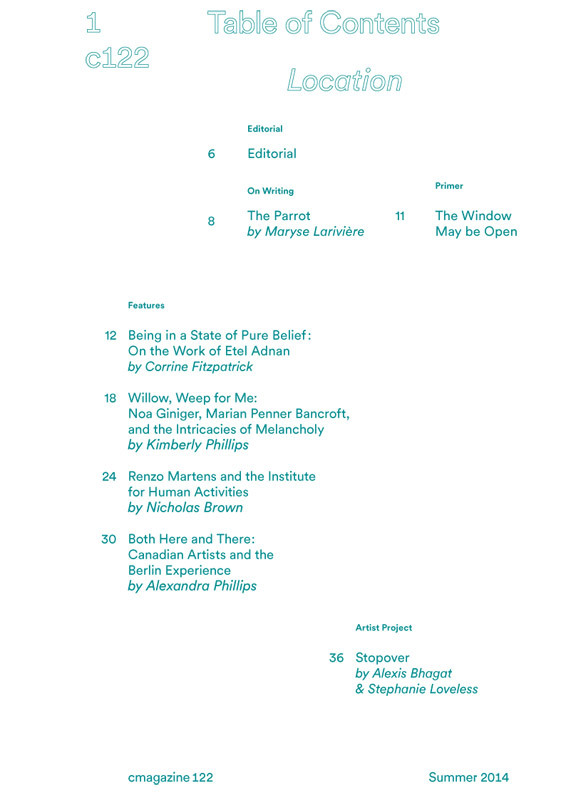 Issue 125 also includes Artist Projects by Raymond Boisjoly and Duane Linklater, On Writing by Art + Feminism, Exhibition Reviews of Joseph Tisiga, Is Toronto Burning?, Why Can’t Minimal?, Susana Reisman, Jasmina Cibic, Kids These Days, Queering Citizenship, Burning Down The House and Mira Friedlaender, as well as Book Reviews of Daniel Albright’s Panaesthetics and David Balzer’s Curationism, and Inventory by Kitty Scott. 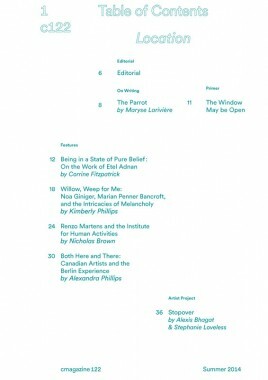 C Magazine 122 includes features on Being in a State of Pure Belief: On the Work of Etel Adnanby Corrine Fitzpatrick, Willow, Weep for Me: Noa Giniger, Marian Penner Bancroft, and the Intricacies of Melancholy by Kimberly Phillips, Renzo Martens and the Institute for Human Activities by Nicholas Brown, Both Here and There: Canadian Artists and the Berlin Experience by Alexandra Phillips; plus Stopover, an Artist Project by Alexis Bhagat & Stephanie Loveless, and our regular sections On Writing, Exhibition Reviews, Book Reviews, and Artefact. 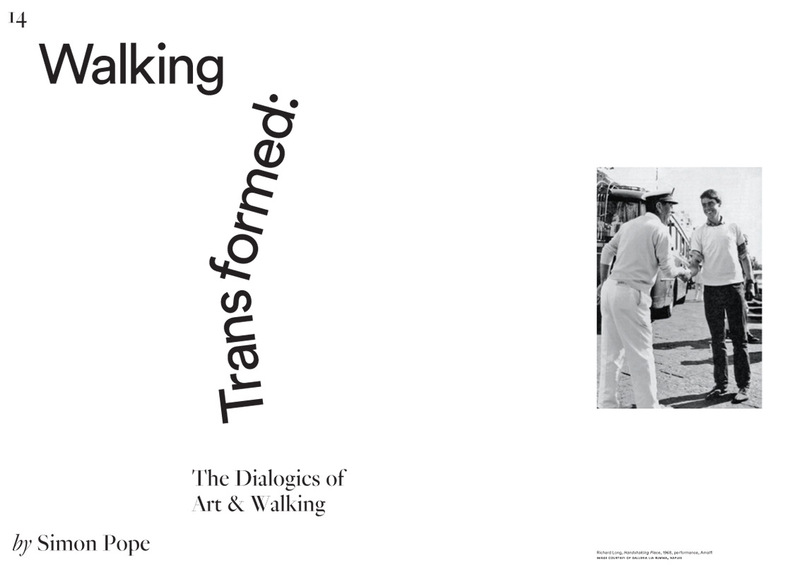 C Magazine Issue 121 “Walking” includes features “On Speculative Walking: From the Peripatetic to the Peristaltic” by Randy Lee Cutler, “Walking Transformed: The Dialogics of Art & Walking” by Simon Pope, “Sissy Boys on YouTube: Notes Towards a Cultural History of Online Queer Childhood” by Jon Davies, “The Walk Exchange: Pedagogy and Pedestrianism” an Interview with Moira Williams by Earl Miller and “Walking with Artists” edited by Eugenia Kisin and Amish Morrell; plus an artist project by Sheilah Wilson with text by Stephen Horne, and our regular sections On Writing, Exhibition Reviews, Book Reviews and Artefact. 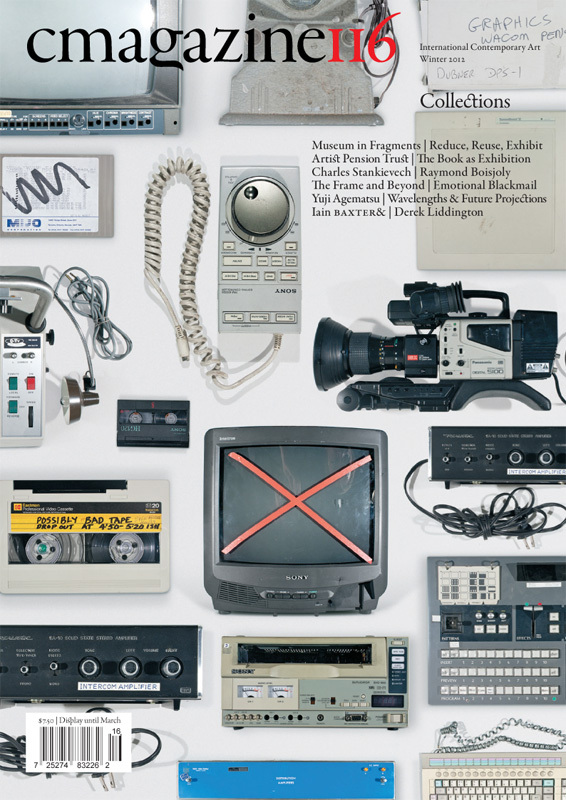 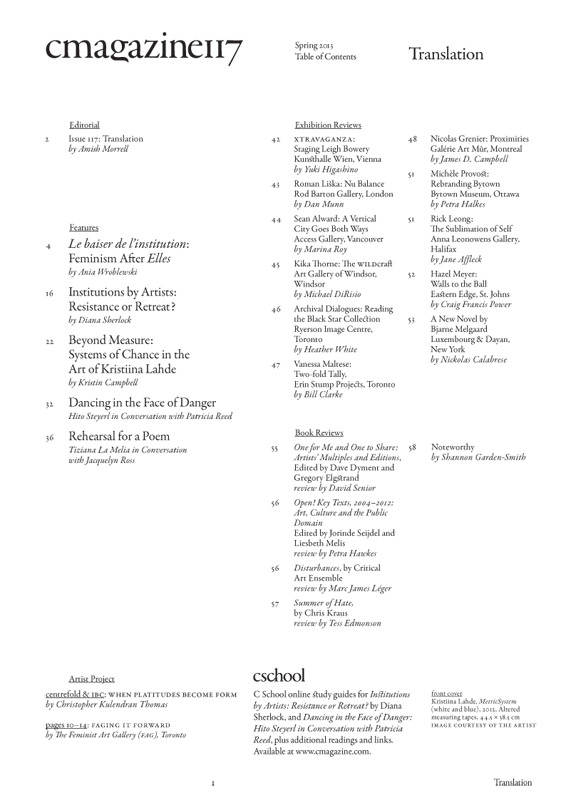 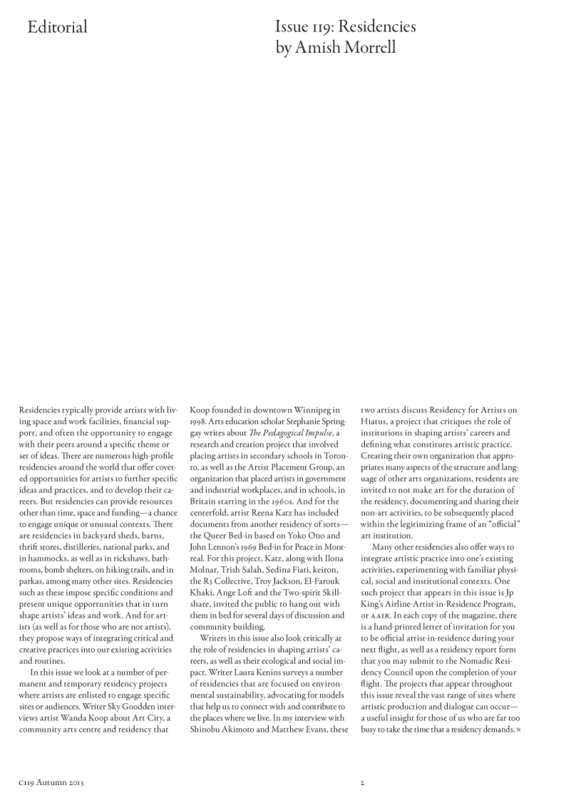 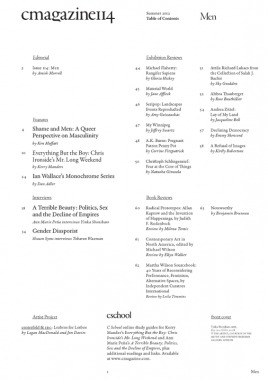 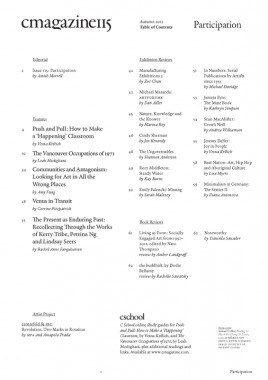 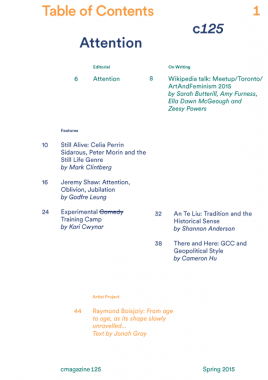 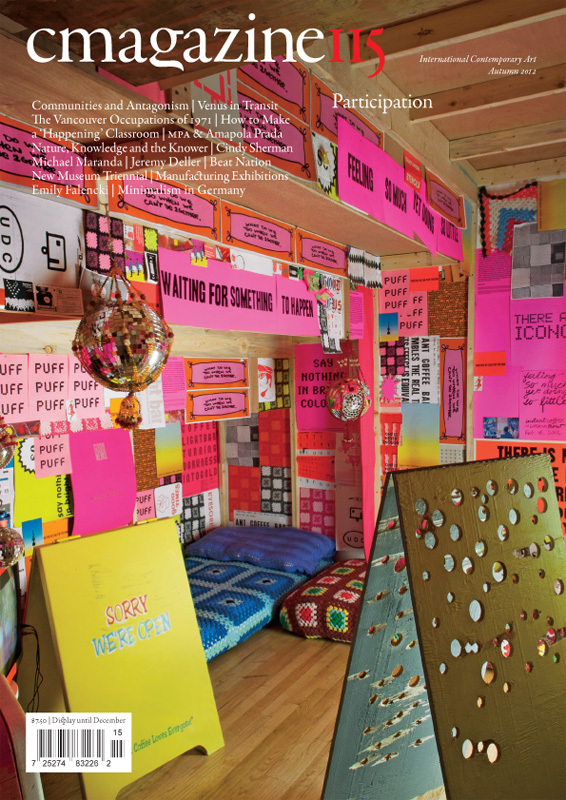 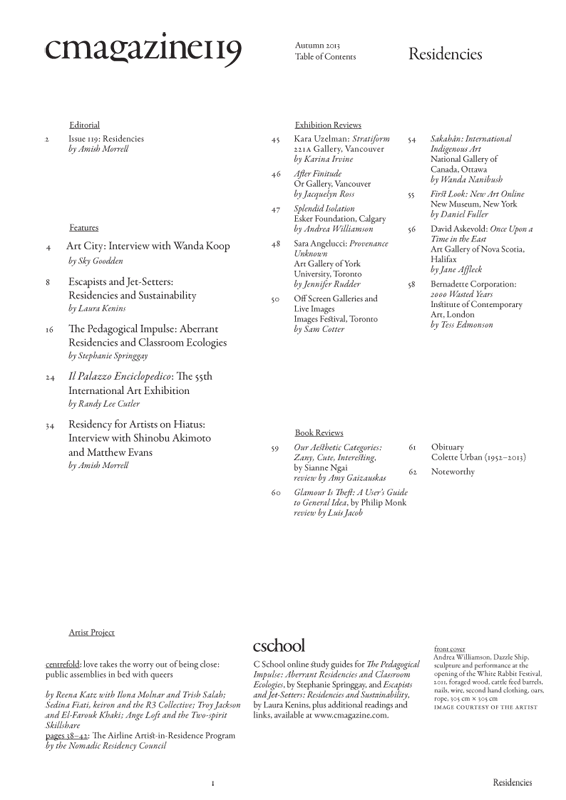 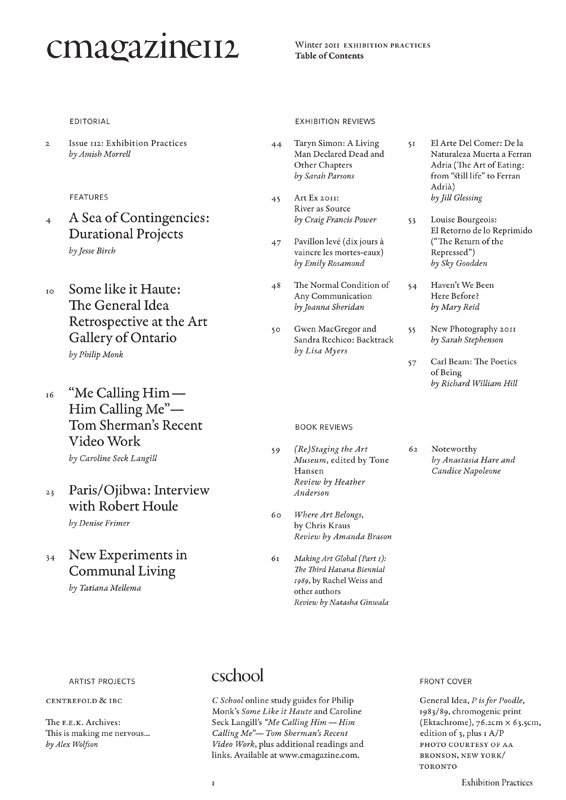 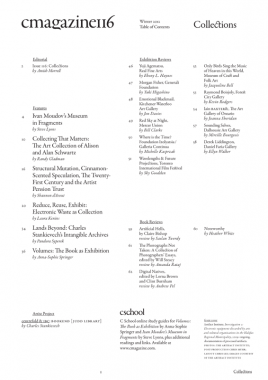 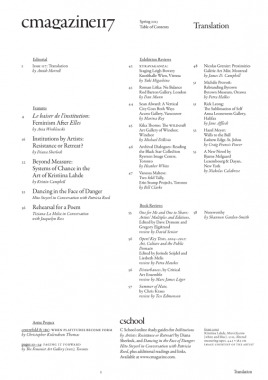 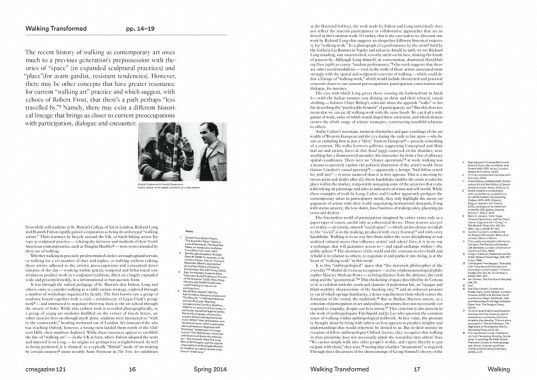 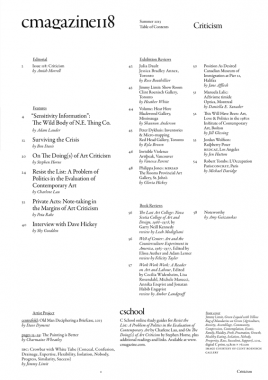 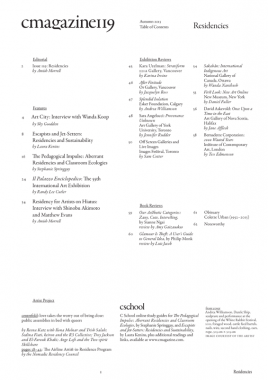 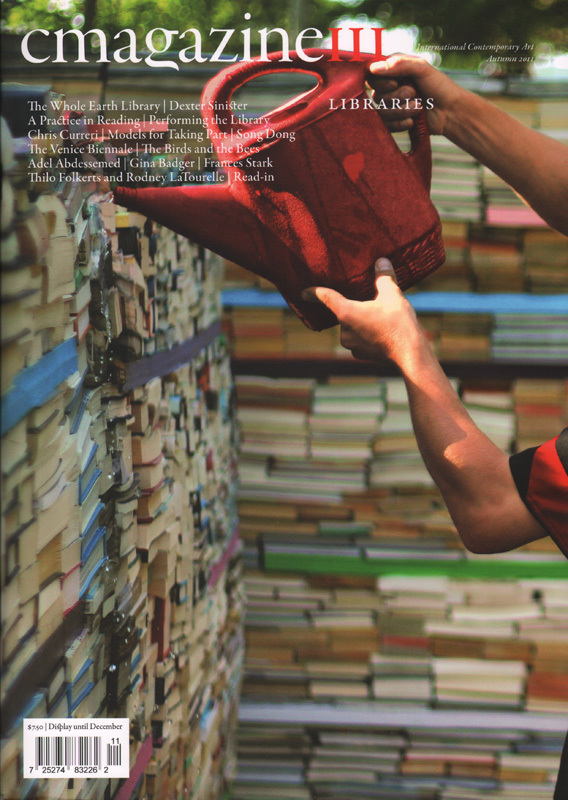 Issue 119 includes feature essays by Laura Kenins on “Escapists and Jet-Setters: Residencies and Sustainability”, Stephanie Springgay on “The Pedagogical Impulse: Aberrant Residencies and Classroom Ecologies,” and Randy Lee Cutler on the 55th Venice Biennale, as well as Sky Goodden in conversation with Wanda Koop and an interview by Amish Morrell with Shinobu Akimoto and Matthew Evans. 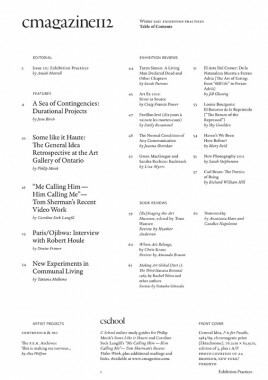 C119 also includes an artist project by the Nomadic Residency Council and the collaborative project “love takes the worry out of being close: public assemblies in bed with queers”; book reviews and reviews of exhibitions by Kara Uzelman, Sara Angelucci, David Askevold, Bernadette Corporation and more. 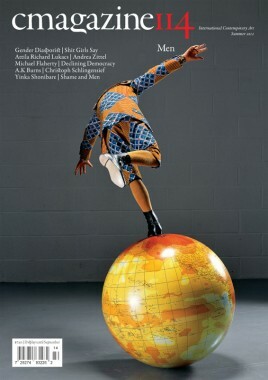 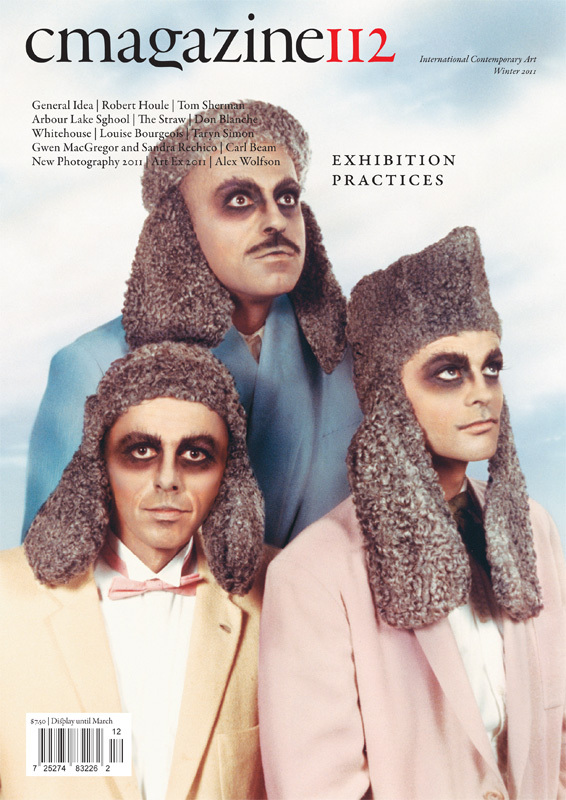 Issue 114, Men, includes essays by Ken Moffatt on male shame, Kerry Manders on Chris Ironside’s Mr. Long Weekend, Dan Adler on Ian Wallace’s Monochrome Series, an interview with Tobaron Waxman by Shawn Syms, and Ann Marie Peña in conversation with Yinka Shonibare. 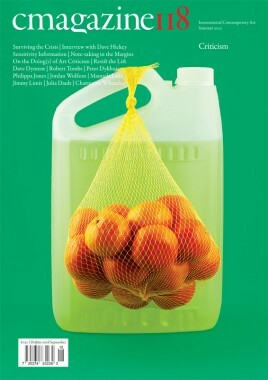 C Magazine 114 also includes Lezbros for Lesbos, an artist project by Logan MacDonald and Jon Davies, exhibition reviews of Michael Flaherty, A.K. 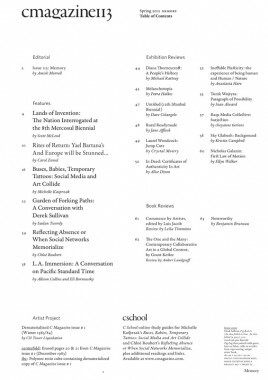 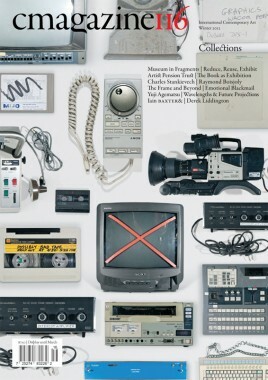 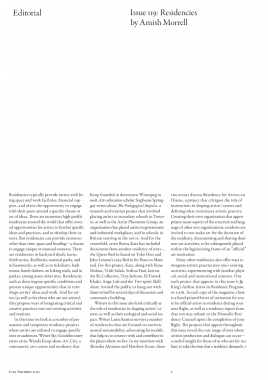 Burns, Christoph Schlingensief, Attila Richard Lukacs, Althea Thauberger and Andrea Zittel, and book reviews. 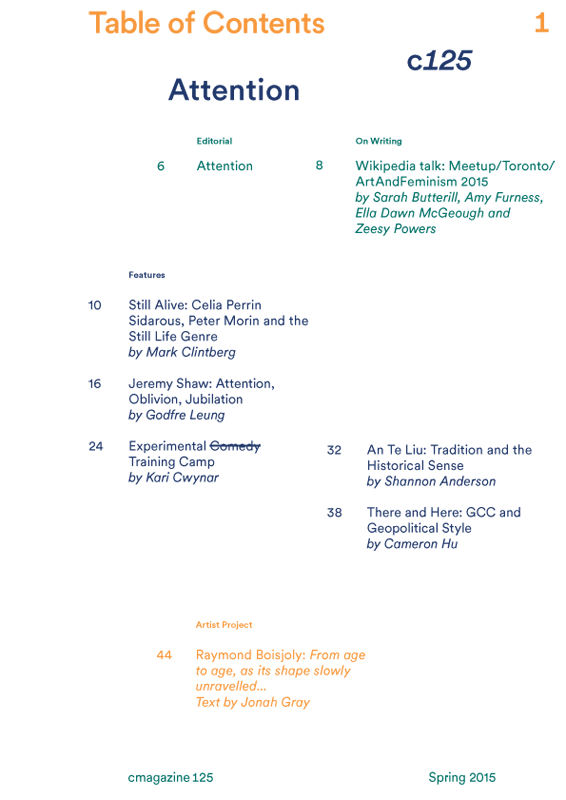 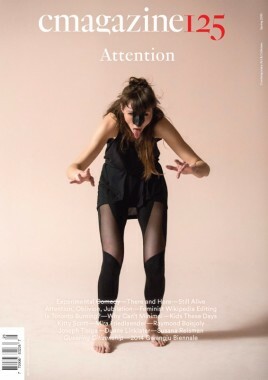 Issue 113, Memory, includes a feature interview with Toronto-based artist Derek Sullivan, by Saelan Twerdy; essays by writers including Carol Zemel, on Yael Bartana’s And Europe Will be Stunned…, Scott McLeod, on the 8th Mercosul Biennial, Michelle Kasprzak on Social Media and Art, Chloé Roubert on the Reflecting Absence memorial in New York, and Allison Collins and Eli Bornowsky on Pacific Standard Time; and exhibition reviews from Toronto, Montreal, Vancouver, Charlottetown, Waterloo, Venice, Rotterdam and Istanbul. 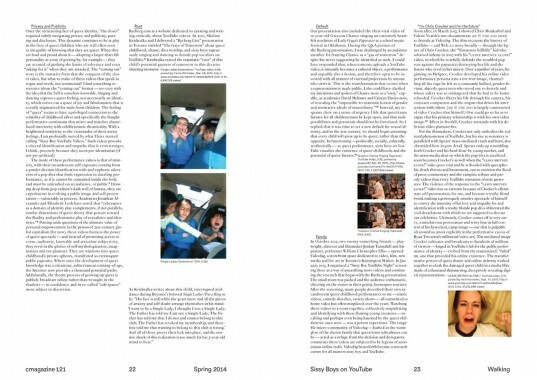 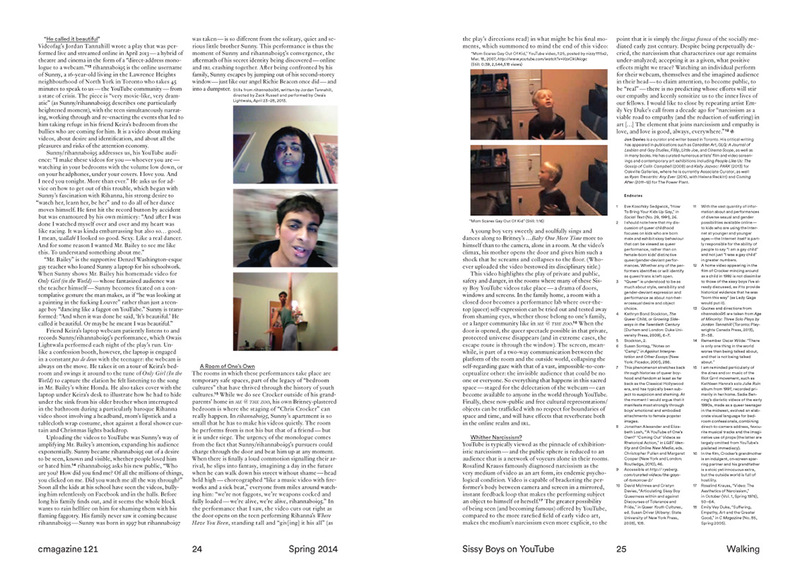 The Noteworthy section by Benjamin Bruneau critically explores the phenomena art blogging. 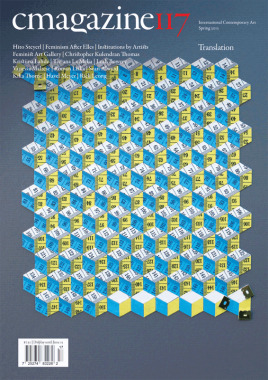 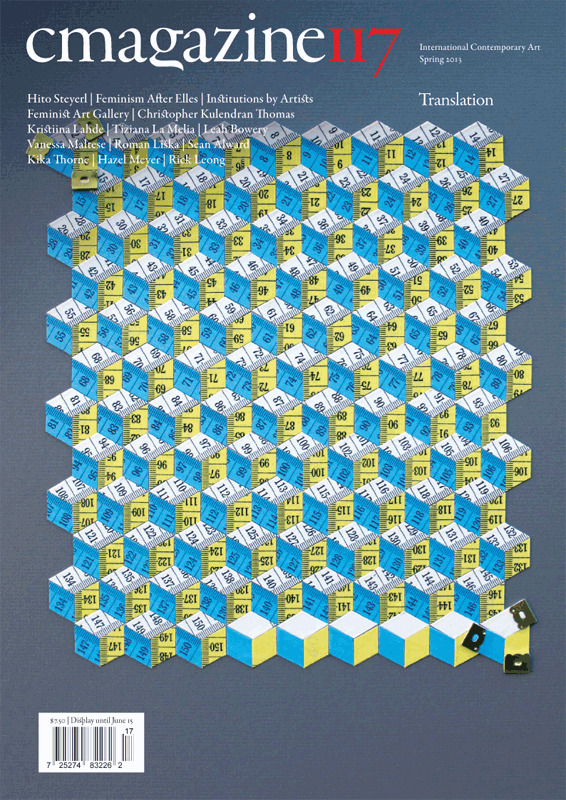 For the artist project in this issue, the collective CN Tower Liquidation dematerialized the first issue of C Magazine, published in the winter of 1983/84, and cast its destroyed remnants in a polymer resin cube that appears on the inside back cover. 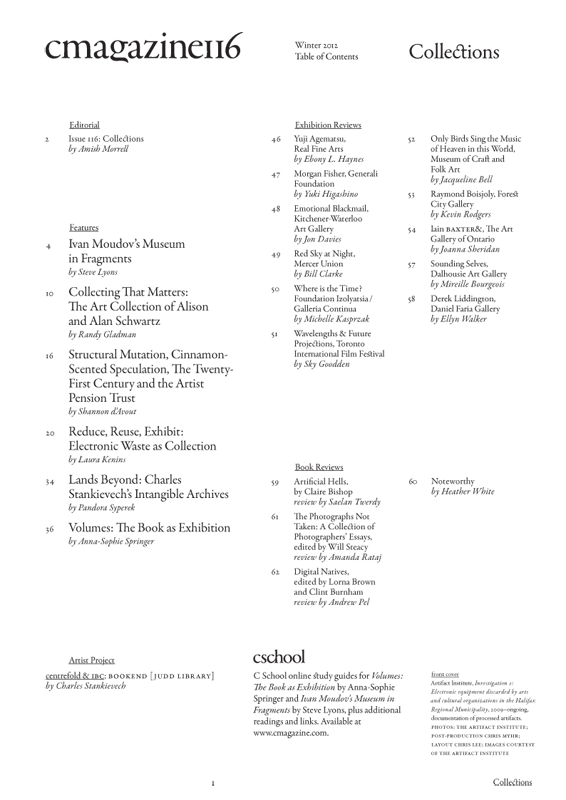 This issue also includes book reviews of Art Metropole’s new “…by Artists” anthology Commerce by Artists edited by Luis Jacob, and Grant Kester’s latest book, The One and the Many: Contemporary Collaborative Art in a Global Context. 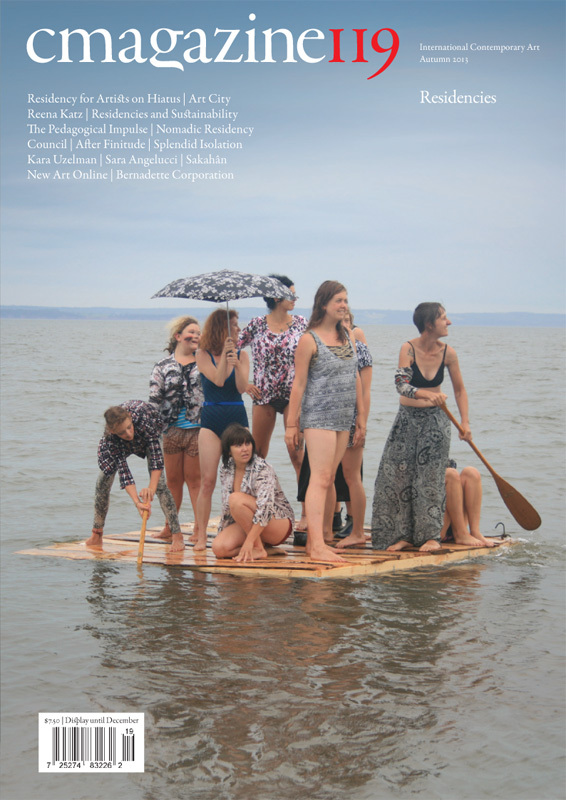 Creatures of Comfort New York is pleased to present No More Reality, a temporary bookshop and exhibition organized by Textfield, Inc. 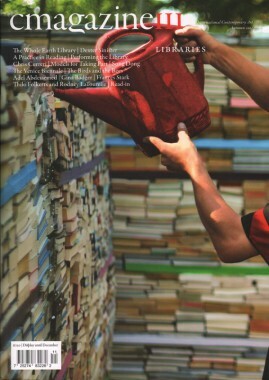 The bookshop and exhibition will take place in Creatures of Comfort’s adjacent project space at 205 Mulberry St. 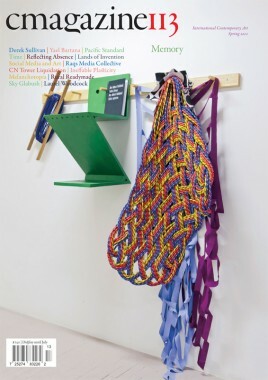 In conjunction with the bookshop, which will feature current and archived titles from Textfield Distribution, there will be an exhibition of work by artists that Jonathan Maghen has collaborated with through Textfield to realize various publishing projects. 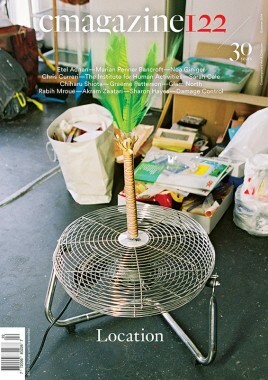 The exhibition will feature the works of Phil Chang, Arthur Ou, Eduardo Sarabia, and Anna Sew Hoy. 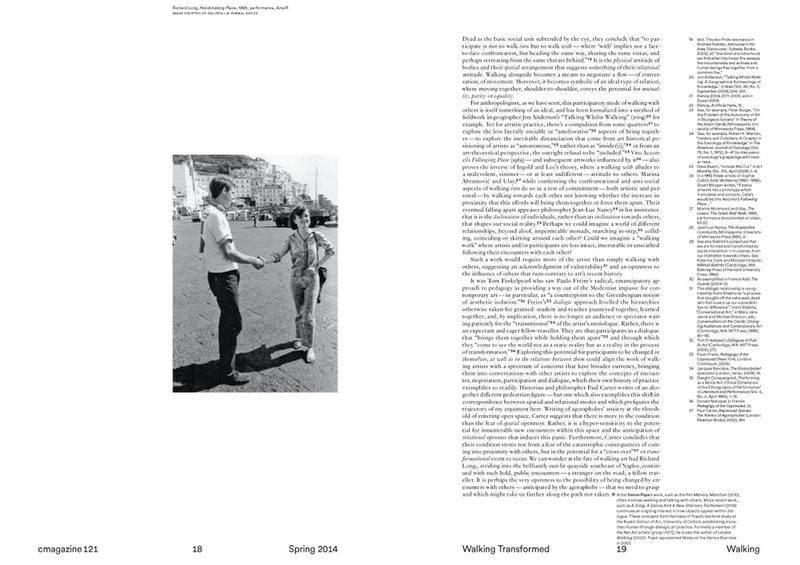 The bookshop and exhibition title have been appropriated from the Philippe Parreno work, No More Reality (the demonstration), 1991, which is a four-minute video of children demonstrating, and chanting the slogan and title (“No More Reality”).